Why have an insulated foundation? More often than not, home owners are using their basements as storage and living space and so the floor between the basement and first story is no longer insulated. Not insulating your foundation leads to a high rate of energy loss through the concrete, which provides almost no insulation from outdoor air and ground temperatures. Because of concerns of home energy efficiencies, Today’s Energy Code requires basements to insulated in new constructions projects. 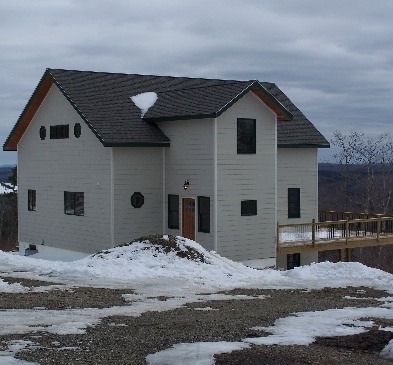 ICF Construction is a high quality way to meet this energy code with top notch results. 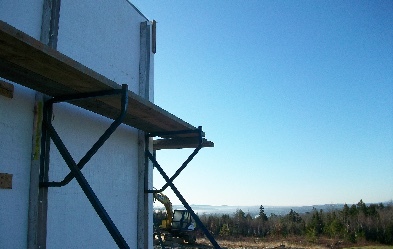 ICF Construction is easy & fast to install with very little new equipment required. Construction of ICF is easy to learn if you have carpentry skills. Our Forms are easily cut and modified. Walls are assembled quickly and need very few tools. ICF Construction Meets Building Codes – There is a universal building code in lieu of any local codes. The building code is easy to read and we are happy to help you. Your reinforced, structural concrete wall is stronger than a traditional poured wall. It Also Meets Energy Codes – A continuous R-22 insulation exceeds the new energy code and extends from floor to sill plate eliminating cold spots and bridging. EPS, the foam used in the forms, does not absorb moisture. Insulation which can absorb moisture can compromise R-Value and cause other problems such as mold. ICFs can also be used for Frost Walls/Crawl Spaces – Using ICF construction for a frost wall or crawl space allows for a better whole building insulation. Basements are the perfect spot for ICF walls, allowing for a warm dry basement that is ready to be finishing for living space. Furring strips in the walls makes drywall installation simple. Electrical and plumbing is simple as well. Want to learn more information about energy efficiency out of your home? Find out more.